Warner Robins, Ga. – The tools to success for an increasing number of women at Central Georgia Technical College (CGTC) are changing; a group of women enrolled in non-traditional career paths are encouraging their gender to put down its stethoscopes and stationery and exchange them for torches and razors. As a part of Aerospace, Trade and Industry programs including, Welding and Joining Technology, Barbering, and Aircraft Structural Technology, three women from different ages and backgrounds are forming a collective that is discovering new talents and exercising them in career path programs not usually pursued by their gender. Janette DeVries, 37, Welding Technology, Tessa Layfield, 20, Barbering, Jazsmine Bishop, 18, Aircraft Structural Technology, each enrolled in these programs for the individual benefits, skills and tools they would acquire, not necessarily, because few women do so. However, as they progress, they are assessing their position relative to their male peers. DeVries chose to weld because she found herself at life’s crossroad needing to do something to better care for her 3 month-old and 9 year-old children. She is an artist yet to find a stroke of balance in her artwork and career. “I don’t know maybe if I am lucky someday, the two will meet for me,” she said acquiescing to the role welding could play in her future. “I view every weld like it is a piece of art. Sometimes when I am finished with a really good weld, I mean a good weld, not a really good weld,” she said exchanging cockiness for confidence, “men see it and maybe feel challenged and don’t like it. DeVries had no experience with tools and metalworking. One time in class, an instructor asked her to bring a specific type of wrench and she brought back three of them. 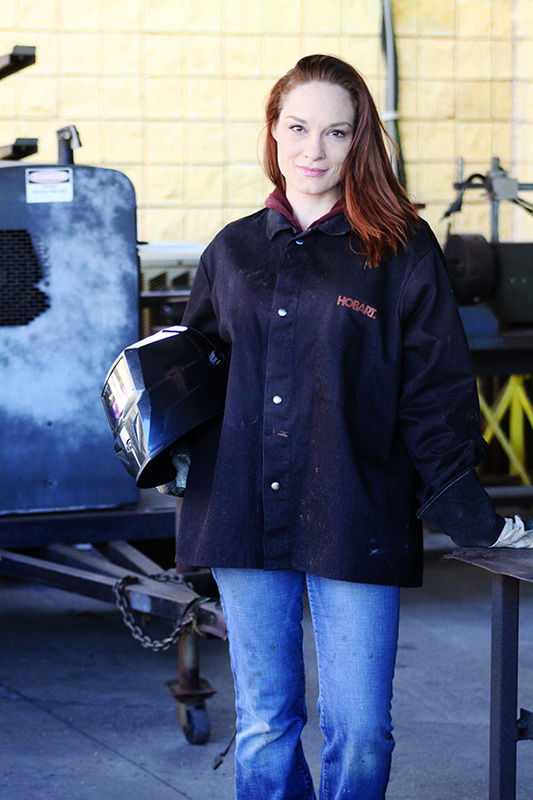 She knew when she signed up for the welding program that she would be doing something empowering. Creating is a common motive she shares with Layfield, who joined the Barbering program out of a desire to create more. “Cosmetology doesn’t teach the refined skills of cutting a man’s hair. I wanted to better my own skills, and become a complete stylist,” she said, addressing the differences in curriculum as it pertains to the male polish. Layfield graduated this May with a Cosmetology diploma. Layfield also faces a separate and welcomed challenge of being a white female in a predominantly African-American male career program. Although she sometimes feels out of place, she said the support of her peers has been unwavering. Not easily intimidated, Layfield knew what she was embarking on when she started, and is confident she will become a complete stylist. 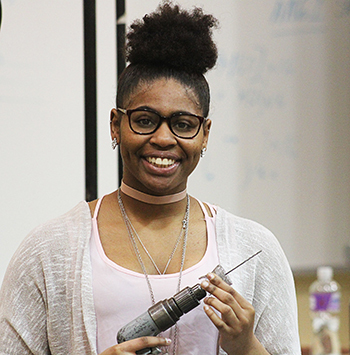 Exuding confidence and knowing what is to be benefitted from a technical education seem like distant thoughts for most high school seniors, but Jaszmine Bishop is right there with her peers Layfield and DeVries. As a dual enrollment student at Hawkinsville High School (HHS), with an outstanding academic pedigree, she said dual enrollment and the AST program have prepared her to be more of a well-rounded adult and not just a smart teenage girl. “This program teaches me more responsibility. It teaches me that women can do what guys can do,” she said. Bishop spends most of her mornings in the locker-less hallways and machine-laden classrooms of CGTC’s Hawkinsville Workforce Development Center where the College offers several dual enrollment program classes for HHS students. Bishop said doing “what the guys can do” is a motivation to do her best, but what propels her the most as a “girly-girl” is the simple expectation many people have that a young woman should or likely will not know much about mechanics. Unsure whether or not she will continue on in this career field, Bishop said that as simple as it may be, the program gave her an opportunity to do what most never saw her accomplishing, and that alone makes her feel empowered. [Photo 1] Jazmine Bishop loads a drill bit during her Aircraft Structural course at CGTC’s Hawkinsville Workforce Development Center. [Photo 2] Janette DeVries was unable to separate types of wrenches but is now confident in her welding abilities. 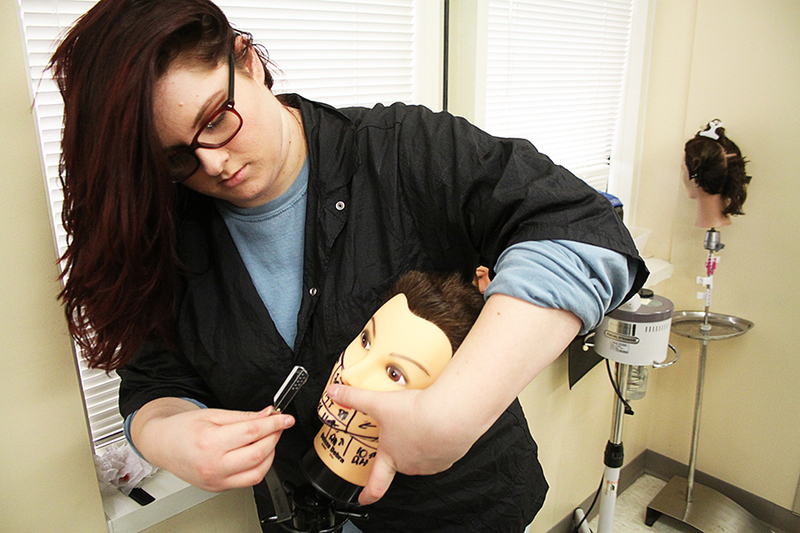 [Photo 3] Tessa Layfield practices shaving techniques on a mannequin in the Barbering lab on CGTC’s Warner Robins campus. This entry was posted in 2018 and tagged aerospace, career choices, graduation, hawkinsville, Insudtry, special populations, success, trade, Welding, women. Bookmark the permalink.